FNB Namibia’s Executive Committee recently celebrated ten employees who have been loyal to the bank for over 25 years by giving them long-service awards. The employees are: Susan Isaacs, Clive Pegram, Mariechen Wohler, Immanuel Munjoka, Anelie Derks, Lutzie Meissner, Cornelia van Staden, Francis van Aswegen, Jacomina Hugo, and Ruthie Diergaardt. 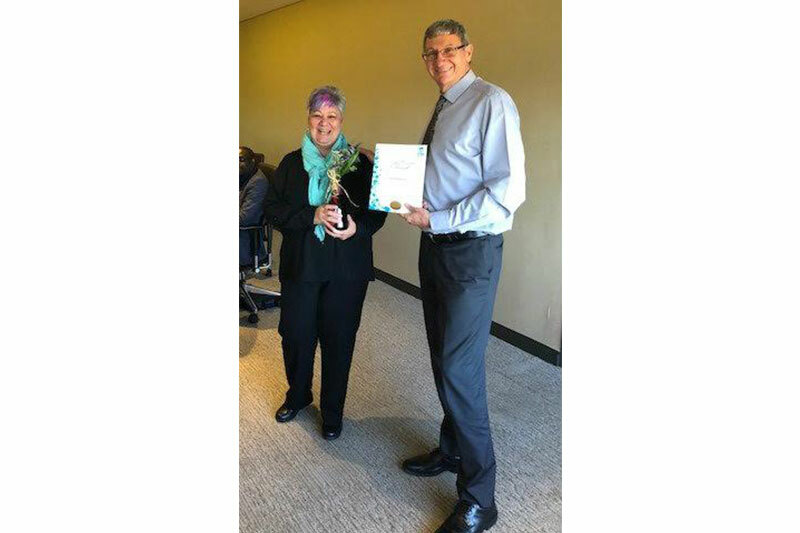 At the occasion CEO, Sarel van Zyl thanked the employees for their long loyal service and for being part of the transformation journey that the Group has gone through over the years. “We want to thank our loyal employees for their contribution toward making the business a success” says Elzita Beukes, FNB Communication Manager.